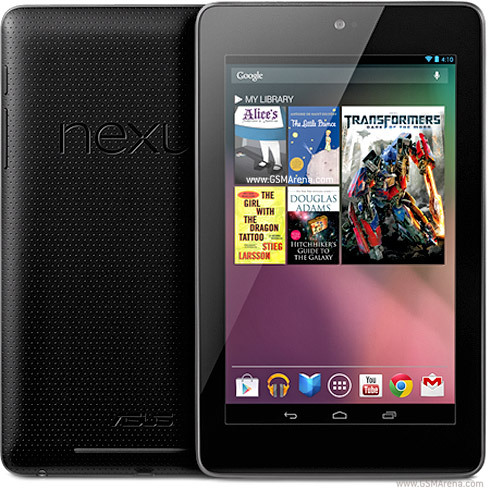 Google has launched the latest version of it’s best selling product in the Indian market today,”Nexus 7″. “Nexus 7” with it’s launch in India has now become the world’s first smartphone using Android 4.1 Jelly Bean for tablet. The latest version of Nexus 7 in terms of display features a huge Screen Size of 7 inches along with it LED-blacklit IPS LCD capacitive touchscreen powering a resolution of 1280 x 800 pixels with 16 M colors. Nexus 7 is boasts Android OS, v4.1 (Jelly Bean), upgradable to v4.1.2 which is used as first time by any smartphone / tablet in production around the world. Nexus 7 also feature a Chip Set NvidiaTegra3, Quad-core 1.3 GHz Cortex-A9 processor which makes it much faster, it has Accelerometer/gyro/proximity/compass sensors with GPS enabled. Dealing with the Connectivity, Nexus 7 support Wi-Fi 802.11 b/g/n,bluetooth and a USB support microSD v2.0 but eventually it does not support GPRS. Nexus 7 offers a Primary Camera of 1.2 MP with video recording/video calling,it does not has a secondary camera. It has an internal memory of 16/32 GB storage with 1GB RAM,along with it a standard battery of Li-Ion 4325 mAh with a Stand-by talk-time of upto 10 hrs. Nexus 7 is 340 g (11.99 oz) in weight which make easier to take away with and is priced at Rs.19990. Some of the other pre-loaded application of Nexus 7 are the Google Wallet, SNS integration, Organizer with Image/video editor, Document viewer, Google Search, Maps and some of the other applications such as Gmail, YouTube, Calendar, Google Talk, Picasa integration, Voice memo, Predictive text input (Skype). Priced at 19990, Google Nexus 7 looks a good deal, it will interesting to see how it is taken up by Indian consumers.